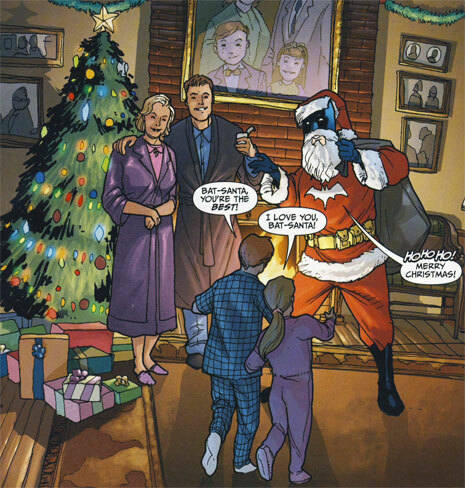 From "Yes, Tyrone, There Is a Santa Claus," by Kelley Puckett and Pete Woods in THE INFINITE HOLIDAY SPECIAL (2007), here's Santa Kal-El! Later on in the same story, here's Santa Batman! Yeah, I also like it when Batman's fun. 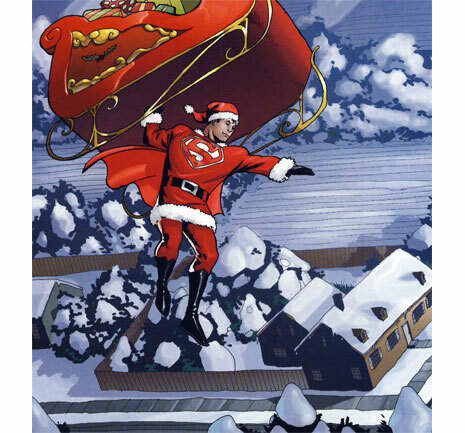 Four more days till Christmas!